Lufthansa has confirmed that it will be reducing its flights to BLR-Bangalore, India from the on set of the IATA Winter 09-10 timetable from a daily flight to 6 times a week only flown nonstop from its FRA hub. LH will however continue to operate this route with a Boeing 747-400 for the entire winter season. FYI, LH currently flies a daily same plane B 744 from BLR via FRA to SFO. LH too confirmed that it will be launching new flights to Libreville, Gabon in Africa from FRA via Accra five times per week as a tag on sector with no 5th freedom traffic permitted. All FRA-ACC-ABV flights will be flown using a 3 class Airbus A 340-600. BOM - capacity reduced from a daily B 772ER to a daily A 332. DEL - from February 2010, capacity will be reduced from daily B 744 to 4 weekly A 343 + 3 weekly B 744. BEY - frequencies reduced from 11 weekly to daily nonstop flights only flown by a B 773ER. GRU - capacity increased from Dec 7th to daily A 332 + 3 weekly B 773ER + 4 weekly B 772ER. ATL / PVG - all flights suspended from Sept.
ATL / SVO - all flights suspended from Oct.
ATL / PRG - all flights suspended from Oct.
ATL / ARN - all flights suspended from Sept.
ATL / ICN - all flights suspended from Sept.
ATL / CPT - all flights suspended from Sept.
CVG / FRA - all flights suspended from Sept.
CVG / LGW - all flights suspended from Sept.
JFK / EDI - all flights suspended from mid Sept.
JFK / BUH - all flights suspended from Sept.
DEL - frequencies reduced from 4 to 3 weekly nonstop flights using a B 744. PEK - frequencies reduced from 19 weekly to double daily. ICN - frequencies reduced from 4 times daily to triple daily. PVG - frequencies reduced from 4 times daily to triple daily. TPE - frequencies reduced from 4 times daily to triple daily. 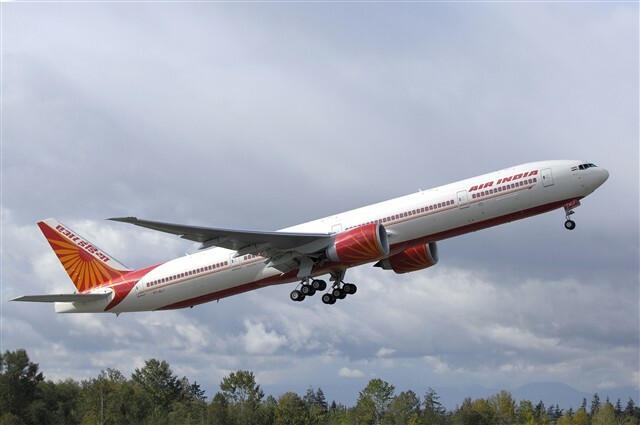 Air India has revealed on the GDS that it will be retiring its Boeing 747-400 from operating long haul flights for the foreseeable future with the Boeing 777s being used exclusively on all North American routes from September onwards. As a result, the current daily BOM-FRA-EWR and AMD-FRA flights flown by a B 744 on a daily basis each respectively, will instead be flown using 3 new Boeing 777-300ERs. The B 744s are destined to be used for HYD-JED, CCJ-JED and other Middle Eastern routes flown from India. US Airways has officially confirmed that it will be making its flights to Brussels and Milan flown nonstop from its PHL hub on a year round basis to a seasonal operation effective this year. Hence, from the on set of the IATA Winter 09-10 timetable, US will be suspending both PHL and MXP bound flights as the carrier does not forecast reasonable loads and yields in the winter season for these flights. Singapore Airlines has officially announced that it will be increasing capacity to HKG-Hong Kong from July 9th 2009 by introducing the Airbus A 380 on this route on a daily basis. As a result, SQ's SIN-HKG operation will be flown using an A 380 daily + double daily B 772ER + double daily B 773ER. Aeroflot has officially confirmed that it will be suspending its 2nd daily flight to PEK-Beijing, China effective immediately for an indefinitie period. Both flights are flown nonstop using an Airbus A 330-200. United Airlines has been cited by reputable media institutions that it has formally asked both Boeing and Airbus to come up with attractive proposals for an order totaling 150 plus airplanes that it intends on using to replace its fleet of 97 Boeing 757-200s + 26 Boeing 747-400s + 19 Boeing 777-200As + 35 Boeing 767-300ERs. Out of its fleet of B 752s, it intends to initially replace its oldest models first as they along with the B 772As are soon approaching 20 years of service. 1. Replace Boeing 757-200s with Airbus A 321-200s. This is a no brainer as Boeing is yet to produce a successor to the B 757 and as a result the A 321 has been a worldwide success over the past decade. The A 321 was specifically designed to be a future B 752 replacement aircraft and it has done that job admirably for many airlines worldwide such as BA, IB, US and has proven to be an extremely useful aircraft for AF, AZ, IT, QR, AC, RJ, TK etc. It can easily fly all of UA's trans-continental, Caribbean and Canadian flights nonstop from its major hubs of IAD, ORD, SFO and LAX with a full payload. The aircraft too has better operating economics versus the B 752 on regional flights with a full payload. 2. Replace Boeing 747-400s with Boeing 777-300ERs. The B 748 is too big and so is the A 380 for UAL. When UA bought the B 747-100 in the early 1970s and again the B 747-400 in the late 1980s, the market dynamics were still the same i.e. fly big planes once a day to slot restricted airports and everyone goes home happy. However, ever since 1996 this has all changed. With aviation bilateral agreements between countries getting more liberalized, alliances being formed, hub and spoke business models coming into effect and slot constrained airports opening up more and more, the focus for premium legacy carriers such as UAL has been on "frequency" rather than "capacity" to attract the leisure and especially the business traveler. The B 773ER can also fly ultra long haul routes nonstop which the B 744 might suffer payload restrictions on such as IAD-HKG, ORD/IAD-DEL etc nonstop. But most importantly, the reason why the B 77W should be ordered also has to do with fleet commonality purposes which can result in huge cost savings for UAL in the long run. Currently, their wide bodied fleet has 3 aircraft types i.e. B 767 + B 777 + B 747 which means 3 different types of certified cockpit, cabin and engineering crew are needed to be trained and hired by them for the task at hand. By reducing the wide bodied fleet type to 2 variants only i.e. B 777 and B 787, massive benefits through cost savings and other forms can arise as well. 3. UAL should also seriously contemplate placing an order for Boeing 777-200LRs to allow it to fly without any payload problems medium density ultra long haul routes nonstop where demand and yield does exist. These include replacing the B 772ER on flights from IAD to KWI and DXB as well as launching new routes such as IAD-DEL, IAD-JNB, ORD-BOM and IAD-HKG. On the whole, the B 77W has been a stellar product seller for Boeing and a proven B 744 replacement aircraft for airlines such as AF, KL, PK, SQ, BR, JL, NH etc. 4. Replace entire Boeing 767-300ER and Boeing 777-200A / -200ER fleet with Boeing 787-800s, -900s and -100Xs respectively. The B 788 is the perfect aircraft from a capacity and range standpoint as it will seat approximately 10% more passengers than the B 763ER plus fly longer range flights nonstop. It also allows UA the flexibility to open up new long haul low density routes that would be too large for a B 772 to fly on. These include routes to Africa and Latin America in particular such as IAD-EZE and IAD/ORD-CAI. On the domestic front, the B 788 can also replace all 2 class configured B 763s used on high density domestic flights. Domestically, it can too be used to launch new nonstop long haul routes which currently UAL doesnt fly but sees good seasonal demand especially in the IATA Winter season i.e. IAD-HNL nonstop. With regards to the B 789, this aircraft can be used on routes both on the domestic and international network where the B 772 may be seen as too big or inefficient to be flown on. In a typical 3 class international configuration, the B 789 would seat 235 passengers with UAL's specifics and 280 in a domestic 3 class layout. This aircraft is ideal to launch new long haul nonstop international flights such as LAX-Italy (daily), IAD-RUH (3 weekly), IAD-LOS (daily), LAX/SFO-DXB (daily), LAX-CDG (daily), SFO-CDG, SFO-SGN, LAX-CAN As far as the B 787-100X is concerned, it is right now a "paper aeroplane" still under research study by Boeing. However, according to the manufacturer it is destined to become the direct replacement aircraft for all Boeing 777-200ERs, Airbus A 330-300s and Airbus A 340-300s worldwide as it will be seating 310 passengers in a 3 class configuration and have the flying capability range similar to that of the B 772ER. a) The A 358 is too big of an aircraft to replace a B 763ER. b) The A 358 and A 359 can easily replace UAL's entire B 772 fleet but due to internal political pressure, Boeing would seek to lobby hard with UAL and if needed with the U.S. Govt as well to ensure that this would not happen. c) The A 350s too would be delivered only from 2017-18 onwards which is too late for UAL as it needs aircraft within 4-5 years maximum to start rapidly replacing its aging B 763ER and B 772 fleet especially the -200A versions. d) By looking at UAL's history, their widebodied aircraft have always been American made i.e. Boeing or McDonnel Douglas and there seems to be no indication what so ever that this will be changing anytime soon. e) Added cost incurred by adding an extra fleet type into the company which would require extra training and a dedicated workforce thus an un-necessary additional expense which can be avoided. Concluding, one can see the pros and cons of the above mentioned reasons mentioned and the case is strongly in the favor of the B 777 and B 787 which would make UAL within 7-8 years time have a wide bodied fleet consist of 2 types only which will be of huge financial benefit for the carrier. By ordering Boeing aircraft too, UAL would be winning key brownie points with the U.S. Govt and American public as a huge order by them will definitely result in Boeing creating more jobs at its manufacturing plants across the U.S. which will overall help lift the currently sagging American economy. LHE - capacity increased from daily A 320s to 6 weekly A 345s + weekly A 332. ISB - capacity increased from daily A 320s to 6 weekly A 332s + weekly A 320. KHI - capacity adjusted from daily A 332 to 2 weekly B 77Ws + 4 weekly A 320s + weekly A 332. In addition to increasing Pakistan, EY too will be increasing capacity to ATH by replacing 3 weekly A 320s with 2 weekly A 332s + weekly A 320 effective mid July. The increase to LHE and ISB are definitely justified due the on going Umrah/Summer holiday season. One would also be interested to know that the A 345s used to LHE 6 times a week are a same plane service to New York JFK via AUH. This summer, EY seems to be aggressively trying to hurt PIA from North America from every angle which it has already successfully done in Toronto with their super seat sale promotion which caused quite a stir in the marketplace and the biggest sufferer was PIA. With regards to KHI, EY will be flying a twice weekly same plane service on Tues and Sat from Toronto via AUH to KHI using a B 773ER which is another direct attack on PIA. Cathay Pacific has revealed on the GDS that it will be increasing capacity to Karachi from the on set of the IATA Winter 09-10 timetable. 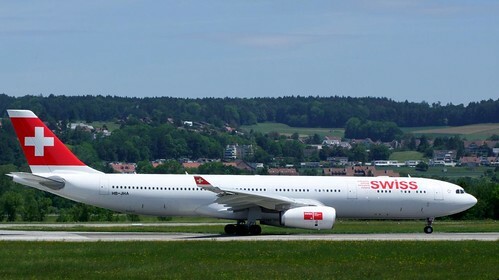 Currently, flights are being flown 4 times a week using an Airbus A 330-300 however that it will be changed to 2 weekly Boeing 777-300As + 2 weekly Airbus A 330-300s. CX's 2 class B 773As seat 385 pax in a 2 class configuration i.e. 59 in J + 326 in Y versus their A 333 (non refurbished one which is used to KHI) which seats 311 pax i.e. 44 in J + 267 in Y.
CX has also revealed on the GDS that it will be increasing its flights to Riyadh and Bahrain to daily flights effective August 2nd 2009 using an Airbus A 330-300. Three times a week the routing pattern will be HKG-RUH-BAH-HKG and four times a week it will be flown as HKG-BAH-RUH-HKG. From Oct 26th onwards, capacity will be further increased on this route to 4 weekly B 772As + 3 weekly A 333s. Cathay Pacific has revealed on the GDS that it will be increasing capacity to JNB-Johannesbourg, South Africa from June 19th 09 to cope with increased demand for its flights on this route. CX will henceforth be operating to JNB with a B 773ER five times a week + twice a week using an A 343. On the other hand, it has also announced that due to low forecasted demand, it will be reducing its London Heathrow bound flights from 4 to 3 daily between early Sept and late Oct.
Mahan Air of Iran has officially announced that it will be launching new 3 weekly same plane services from BHX-Birmingham, UK via IKA-Tehran to ATQ-Amritsar effective July 3rd 09. It will be using a 2 class configured Airbus A 310-300 to operate this flight which will be flown on THU, SAT and SUN from BHX. Austrian Airlines has officially confirmed that it will be further reducing its flights to New Delhi, India effective immediately from 6 weekly Boeing 763ERs to a 5 weekly nonstop service. Flights will not be operating on TUE and WED until further notice. PVG - will get 5 weekly nonstop terminator flights using an A 332. PEK - will also get 5 weekly nonstop terminator flights using an A 332. BEY - frequencies increased to double daily nonstop using a B 738 from this week. NBO - frequencies increased from 3 to 5 weekly flights from July. OSL - frequencies increased from 5 weekly to daily flights from Aug.
TUN - frequencies increased from 5 weekly to daily effective next week. TK too confirmed that it has been allowed by the Japanese Govt to increase flights to Tokyo Narita airport to 6 weekly services from March 29th 2010. Currently, it flies the route 4 times a week. ORD - frequencies reduced to 6 weekly A 332s. MIA - frequencies reduced to 5 weekly A 332s. LAX - frequencies reduced to 6 weekly A 343s. BOS - frequencies reduced to 6 weekly A 332s. Phillippine Airlines has officially confirmed that it will be reducing its flights to LAX-Los Angeles, USA effective immediately in order to cut costs when demand is not that high enough to warrant the route being served 9 times a week using a Boeing 747-400. Therefore, frequencies are being reduced to a daily service only using a B 744. Garuda Indonesia has officially disclosed that it will be launching new daily nonstop flights from its Jakarta hub to NRT-Tokyo Narita from Oct 26th 09. GA will be using an A 332 to operate this route nonstop and will be coexist with its current daily CGK-DPS-NRT service which too is flown using an A 332.